This 50th birthday cake was made to combine Marc's love of Vegas and chocolate covered Oreos. The casino chips are chocolate covered Oreos and the cake is chocolate with Oreo buttercream filling. 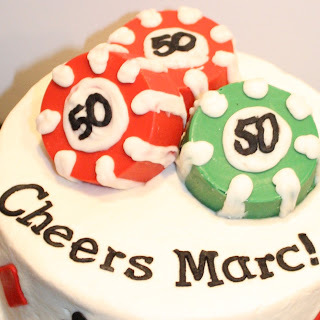 Cheers Marc, Happy Birthday!